The prices of cryptocurrencies have zoomed this year and many investors have started focusing on these digital assets. 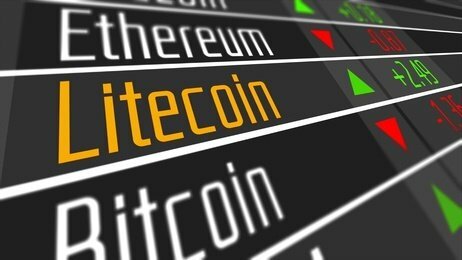 Investors have a couple of options to trade in cryptocurrencies. The first option is to use the cryptocurrency exchanges which allow traders to swap fiat currency such as dollar and euro for the digital currency, or digital currency for digital currency. Another option is to use the online forex brokers’ platforms for trading cryptocurrency CFDs or pairs such as USD/BTC, EUR/BTC, etc. The aim of this post is to list out the top 10 cryptocurrency trading platforms. eToro, a multi-asset and social trading brokerage, has registered offices in Israel, the UK and Cyprus. The brokerage has a worldwide reach and is regulated in all the markets. RetailFX came into existence in 2006 in Tel Aviv. eToro OpenBook was set up in 2010 with the copy trading feature as a social investment platform, enabling traders to follow, view, and replicate the trades of top investors in the network. eToro boasts of more than four million active users and allows individuals to trade in Forex, stock CFDs, and cryptocurrencies. IQ Option may not be most well-known or the biggest platform, but it is growing very fast. The platform offers trading in all of the popular assets and up to 25 percent leverage. In addition, IQ Option provides a multi-chart layout, historical quotes, and technical analysis across multiple platforms, including desktop, mobile, and tablet. The brokerage also offers excellent support which includes volatility alerts, stock screeners, calendars, newsletters, and market updates. Founded in 2007, Instaforex has more than 7,000,000 clients and is a well-established investment firm. Instaforex provides support services in more than 27 languages and the platform can be used by newbies and professional traders. The online forex trading platform provider makes available 7 Asset Classes, 16 Platforms, and more than 300 Instruments for trading. Clients can trade forex, commodities, precious metals, equity indices, individual stocks, energies, and Cryptocurrencies. Instaforex has its registered office in Russia and is regulated by RAFMM; and CySEC, Cyprus. The Hong Kong-based cryptocurrency exchange Binance charges very low fees of just 0.1 percent per trade. This platform does not only support several coins but also provides services in multiple languages, including Chinese, English, Korean, Japanese, Russian, French, and Spanish. Binance primarily focuses on the China market and Chinese coins. To fund the development of the exchange, it created the Binance token (BNB) during the Initial Coin Offering (ICO) event. Coinmama, an exchange located in Israel, specializes in enabling the purchase of Bitcoin using credit/debit cards. The services offered by this Bitcoin exchange are available in many countries around the world. The buying limit set by the exchange is higher compared to other exchanges. Bitcoins can be purchased for cash and on payments through the Western Union. However, the fee charged by the exchange is slightly on the higher side. The Bitcoin exchange Cex.io allows users to buy the cryptocurrency for low fees using credit cards. Purchases can also be made for free through bank transfers. The services offered by this exchange are available in many countries around the world, except a few specified by the platform provider. On the basis of verification, Cex.io offers four account levels with different buying limits. This Bitcoin exchange operates as a registered company in all of the districts in which it is present. Cex.io combines crypto to crypto exchanges, fiat to Bitcoin exchange, and a mining pool. The company also offers trades in mining contracts or Bitcoin mining equipment rights for a specified period of time. In addition, the exchange offers USD/BTC and EUR/BTC pairs along with several crypto/crypto pairs. Coinbase is the best option for first-time cryptocurrency buyers. The exchange’s interface is very user-friendly and this makes it easy for anyone to buy Bitcoin, Ethereum, or Litecoin. Most cryptocurrencies have to be bought with Bitcoin. Therefore, Coinbase provides a good entry point for buying Bitcoin or other cryptocurrencies. Coinbase allows clients from Canada, the UK, the USA, Europe, Australia, and Singapore to buy Bitcoin, Litecoin, and ether using either a bank account or credit card. A fee of 3.99 percent is charged when buying using a credit card and 1.49 percent when buying through bank transfer. In forex trading, AvaTrade is by far the most recognized online currency trading platform provider. The regulated Forex broker is dedicated to providing customized trading solutions to its clients irrespective of their prior knowledge or experience. It is easy to open an account on the AvaTrade’s platform and you can be up and trading in a matter of minutes. The greatest advantage of working with AvaTrade is that the broker provides a large amount of educational material, especially to those who are not very conversant with trading. The online forex broker offers more than 250 trading instruments, including fiat currency, cryptocurrency, bonds, and CFDs. Yobit.net was founded in Russia and introduced through a forum in 2015. It caters to Russian, English, and Chinese traders. The Bitcoin exchange accepts payments only in the fiat currency USD. In order to purchase Bitcoins, the client should transfer funds in USD to his/her the account. Yobit.net offers a wide range of cryptocurrencies such as BTC, ETH, DASH, XBY, and DOGE, among others. Trading on this platform is very easy, even for those who are new to cryptocurrencies. Cryptopia Limited, a well-known name in the market, offers free wallet and a spot trading platform with a lot of features for trading cryptocurrencies like Bitcoin, Ethereum, Litecoin, Dogecoin, Cannabiscoin (CANN), Electroneum (ETN), Verge (XVG), DigiByte (DGB), and many more (totals 1644 markets in CRYPTOPIA). The trading fee on Cryptopia is 0.20% of the total BTC or crypto currency traded. Kucoin is one of best multi-cryptocurrency exchange and trading platform with Service Centers based in Hongkong. Kucoin EXchange offers pairs for trading such as RaiBlocks (XRB/BTC), Red Pulse (RPX/BTC), CanYA (CAN/BTC), BTC/ETH, NEO/BTC, BTC/LTC, UTRUST (UTK/BTC), EthLend (LEND/BTC), Bitcoin Cash (BCH/BTC), etc (more than 69 BTC Pairs). Kucoin charges a flat fee of 0.1% per trade, It also provides users with a mobile app available for Android and iOS.